Finally Logitech has done something logical. I have the G15 Gaming Keyboard and the G500 Gaming Mouse which needed separate software for each - namely the Logitech Gaming Software and Logitech SetPoint. 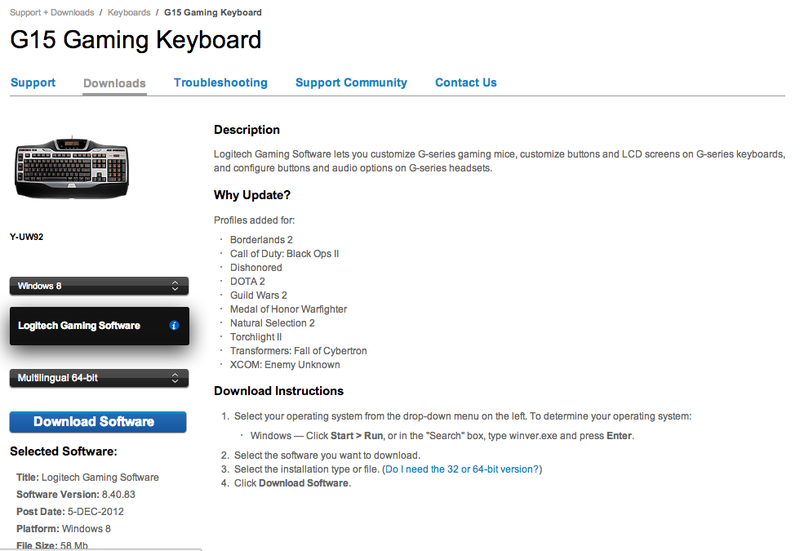 Finally, they have brought them together in the version 8.40 release of Logitech Gaming Software. Happiness! Why they took this long is the question. If you had taken a peek at Windows 8's Task Manager's Startup section, both Logitech Gaming Software and Logitech SetPoint were classified as startup apps that take too much time. I wonder if this is still the case with this new Driver/Software. I hope it is better now. You can download the Logitech Gaming Software v8.40 from this link.